From data centres to automotives, GaN device maker, Transphorm, eyes more and more applications as market penetration gathers momentum. In just the last few days, California-based Transphorm has launched its third generation 650V GaN FETs, designed for high voltage power conversion applications. Targeting industrial, data centre, renewable and power supply applications, the latest devices offer a 4V threshold - an industry first for GaN FETs and eliminating the need for a negative gate drive - lower electromagnetic interference and reduced device price. The latest move builds on a series of critical developments from the company. Transphorm released JEDEC-qualified GaN FETs in late 2016, swiftly following this up with automotive-qualified GaN FETs in March 2017. These were targeting on-board charger and DC to DC systems applications in plug-in hybrid and battery electric vehicles. By May 2017, Transphorm's 650 V GaN FETs had been integrated to 3 kW AC-DC power supplies from US-based Bel Power Solutions, designed for enterprise reliability server, router and network switching subsystems. And only months later, Yaskawa Electric was using Transphorm's 650 V, GaN FETs in its 100 W to 400 W servo motors, designed for the industrial multi-axis automation systems. Yaskawa ploughed some Â£15 million into Transphorm shortly afterwards, to accelerate GaN product development. Importantly, earlier this year, Transphorm revealed its GaN FETs are being used in Corsair's latest power supply unit for gaming applications, as well as Taiwan-based Seasonic Electronics' high-end power factor correction platform for battery chargers, PCs, servers, as well as gaming power supplies. Past power supply products typically rely on silicon superjunction MOSFETs but by moving to Transphorm's 650V GaN-on-silicon FETs, in the typical bridgeless totem-pole power factor correction topology, each company has increased product performance. For example, Corsair has raised power supply AC to DC efficiency by about 2%, to more than 99.4%. Meanwhile, the switch from silicon to GaN also increased the power output to 1600W, some 6.5% higher than the previous product generation. Enclosure size was also reduced by 11%. As Philip Zuk, Vice President of Technical Marketing at Transphorm, points out: "Corsair's power supply is now very very difficult to buy. The company has seen huge demand for the product from the gaming community and it's also being used in the supercomputers [that drive] cryptocurrency mining and artificial intelligence applications, which are real power hogs." Clearly being in production with Yaskawa, Bel Power, Corsair and now Seasonic, has raised the profile of Transphorm's GaN FETs. According to Zuk: "This is big news for us... and now, production really is starting to ramp." The Transphorm Vice President is keen to point out the development advantages of having products 'in the field'. As he highlights, the company owns each stage of FET development, and insight gained during customer projects can be applied to its GaN-on-silicon technology to raise FET quality, reliability and performance. Indeed, Zuk also reckons his company's transition from first to third generation platform, accompanied by developments in packaging, increases in yield and reductions in die size, has cut costs by some 35%. Importantly, the resulting rising demand for the GaN FETs doesn't stop with gaming and other niche applications. According to Zuk, the company is now seeing traction from data centres, desperate for efficient power supplies that will help reduce power consumption. He also expects automotive interest will follow. "Our near-term revenue is being driven by the early adopters, gaming, artificial intelligence, crypto-mining and data centres," he says. "But ultimately, these niche opportunities will roll-out into less price elastic applications, such as automotive applications, including onboard charging, inverters and DC to AC conversion." "Indeed, a nice thing about being in production is the actual failure in time [data] we can get, which a lot of automotive customers are looking for," he adds. 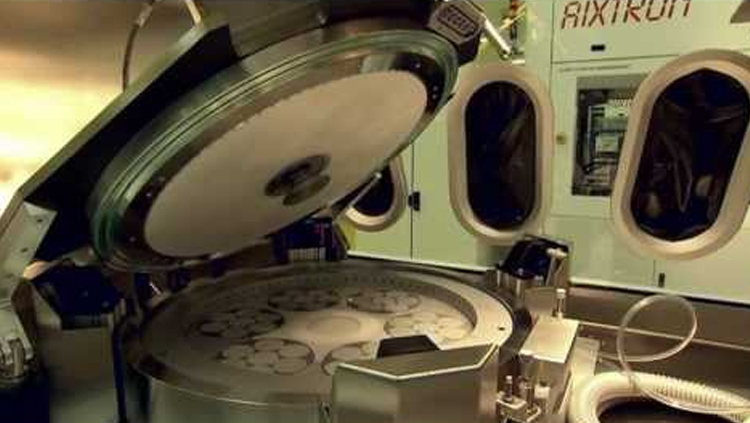 Crucially, Zuk is adamant that Transphorm can scale wafer production alongside rising demand. The company has reactors at sites in Goleta, California, and Aizu, Japan, and anticipates that six inch production can boost today's capacity of 5 to 10 million parts per year to more than 50 million parts per year by 2020. What's more, the company has eight inch production in R&D, and is ready to transition to the larger wafer size with market demand. "If we suddenly had to build 50 million parts then that's a nice challenge to have and we definitely have the capability to ramp to this," assures Zuk. Production aside, Zuk is also seeing some technology issues being swept aside. Transphorm's FETs are based on the so-called Cascode topology and from word-go, Zuk has been busy educating industry on the pros and cons of this transistor type versus the alternative enhanced-mode device. "This has been an uphill battle as many [design engineers] have wanted to use e-mode [devices] but I am seeing that barrier come down now," he says. Competition from rival technology, SiC, is also key. Rohm and Wolfspeed deliver 650 V SiC MOSFETs, for example, and as Zuk points out, diodes based on this wideband gap materials have been in the marketplace for nearly two decades. However, design engineer reticence on GaN is now dwindling, and this can only propel GaN further into the market. "My competition is not other GaN suppliers, it is silicon carbide, and what has stopped GaN from being more quickly adopted is uneasiness," highlights Zuk. "But customers have now multiple GaN projects in development and are over this fear-factor." Looking to the future, Zuk is confident that silicon, SiC and GaN will co-exist, with decisions largely relying on price pressures and what the customer knows to design in. And he is watching automotive markets avidly. "You will not see wide bandgap materials in automotive until 2020, but by 2025, we will definitely see fewer silicon IGBTs being used and more SiC and GaN being designed in," he says. "There's still a lot of jockeying and positioning going on and IGBTs are not going to go away from motor drives but the ratio of silicon to wide bandgap devices [in automotive applications] will shift."